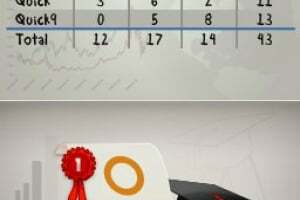 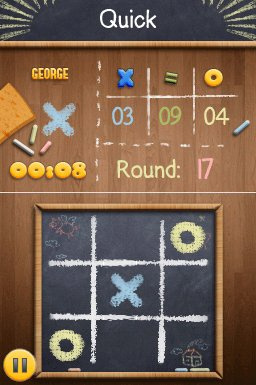 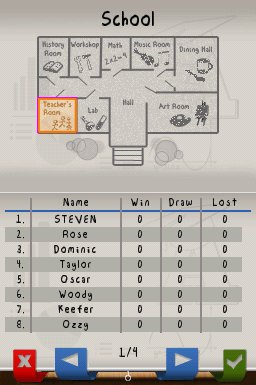 DSiWare is already host to numerous pen and paper games, but out of all of them, Tic-Tac-Toe has got to be most pointless thing imaginable to put into virtual form. 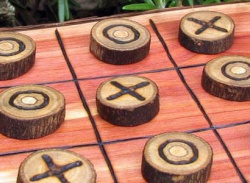 Nobody should need an introduction to what Tic-Tac-Toe is. 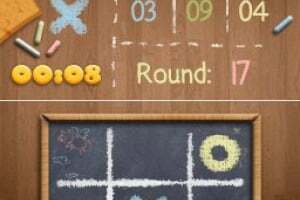 You have a grid of 3 by 3 squares, and you and your opponent take turns filling one square at a time with either a cross or a circle. 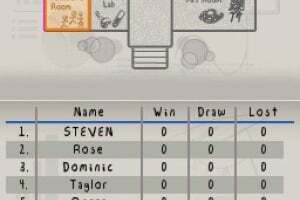 If either player can line.. 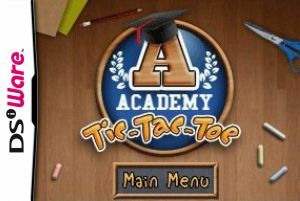 The world’s most famous pen-and-paper game for two players now in your pocket wherever you go. 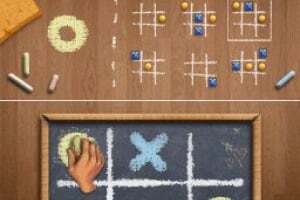 If there is no one around to play the game with you, don’t worry: skillful AI players will gladly play with you in any of the 4 Tic-Tac-Toe variants available. 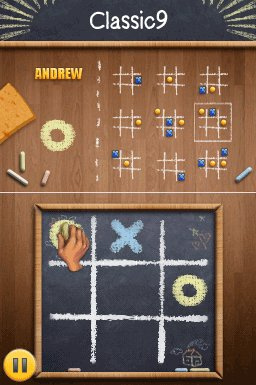 If a single 3x3 playing field makes you claustrophobic, you'll be happy to try the new Nine Board game mode that adds a nice twist and more strategic depth to the game. 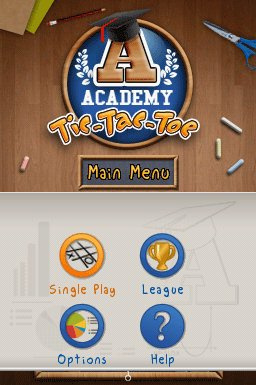 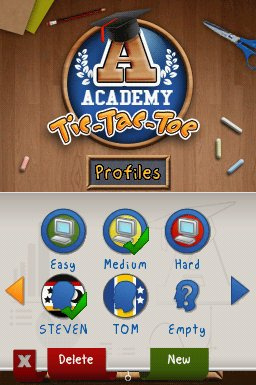 Prove that you're a worthy Tic-Tac-Toe player by entering the Tic-Tac-Toe League and advancing from the initial School Club League, through Academic, City, National, and World Leagues up to the Super Stars League! 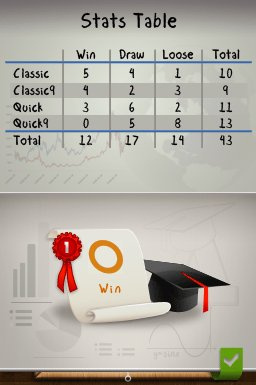 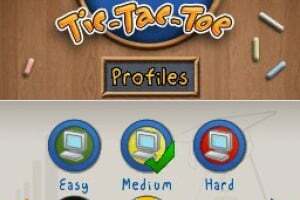 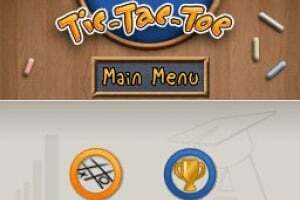 Claim the top spot and become the Tic-Tac-Toe Champ!